The year has gone very fast and Thanksgiving is just over a month away. I was reminded of this yesterday as I took a late afternoon walk during a break from work. 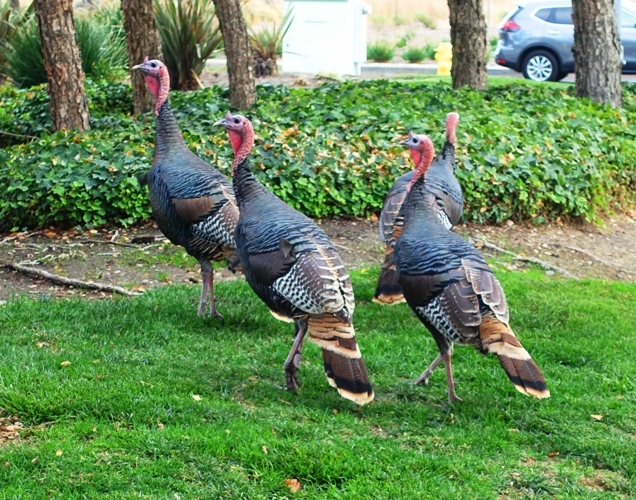 We actually see turkeys quite often around our office. There is a small flock that wanders through the area. They have been around for years, so I am sure that we have seen multiple generations of the same family of birds. One goal of my walk was to take a peek at the lot where our new building will be built. It is still an empty lot as you can see it in the background of this picture. The turkeys seem to have an eye on the lot as well. 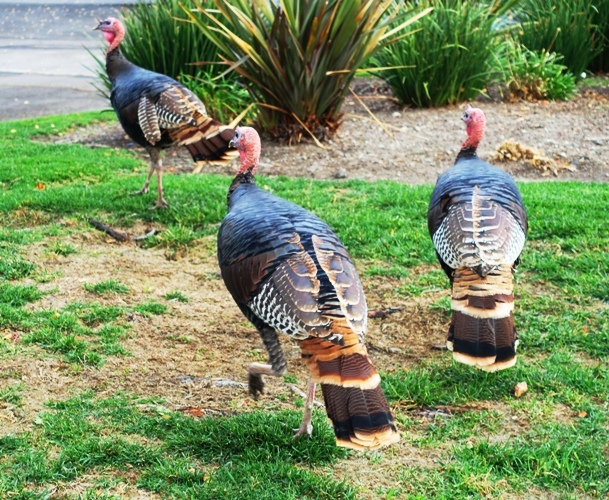 The turkeys have a large area they roam through as they forage for food. There are many parking lots, but also nice grassy areas like this. 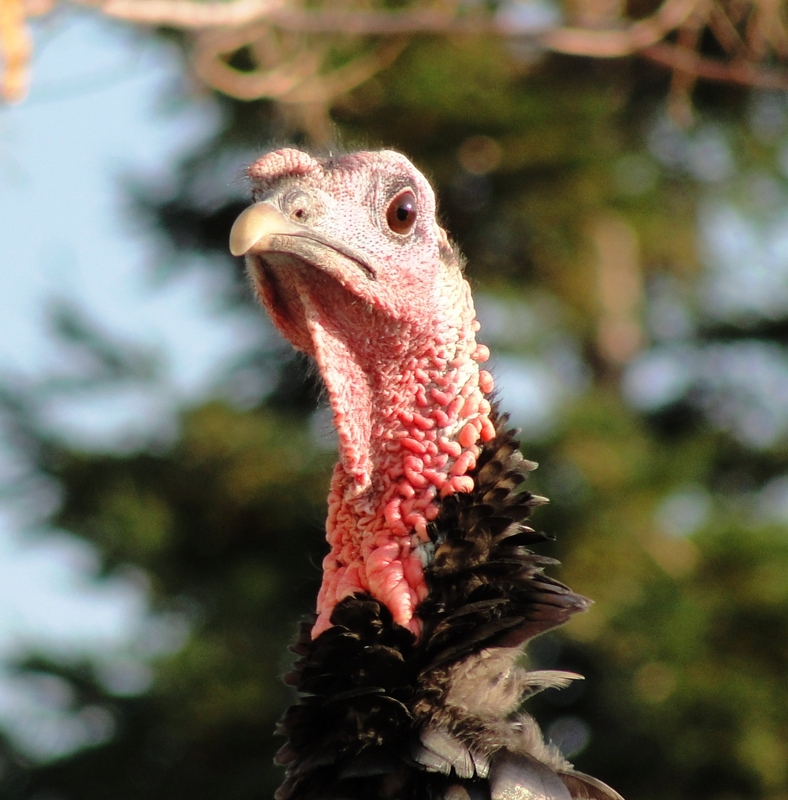 This turkey looks a bit worried. I took this picture a few years back just before Thanksgiving. I am not sure if the turkey was worried about being a meal, or if the owner of the car he was standing on was going to hunt him down. Now to get to the airport for a long flight. 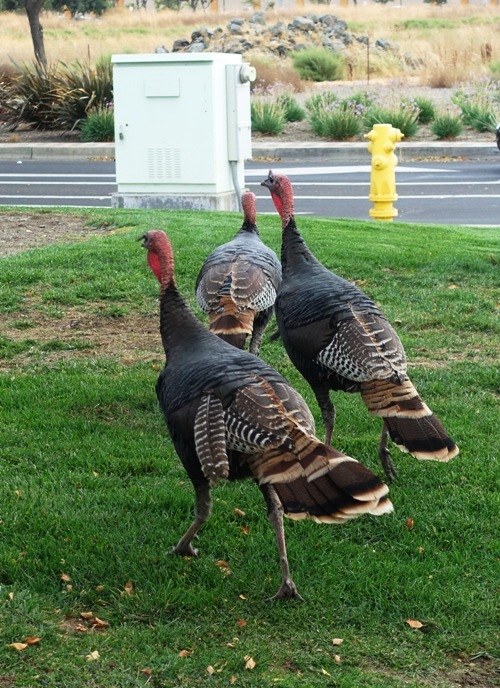 This entry was posted in Animals, Food, Holidays, Memories, Nature, Seasons, Turkey and tagged Dublin California, Thanksgiving, Turkeys, Wild Turkey. Bookmark the permalink.